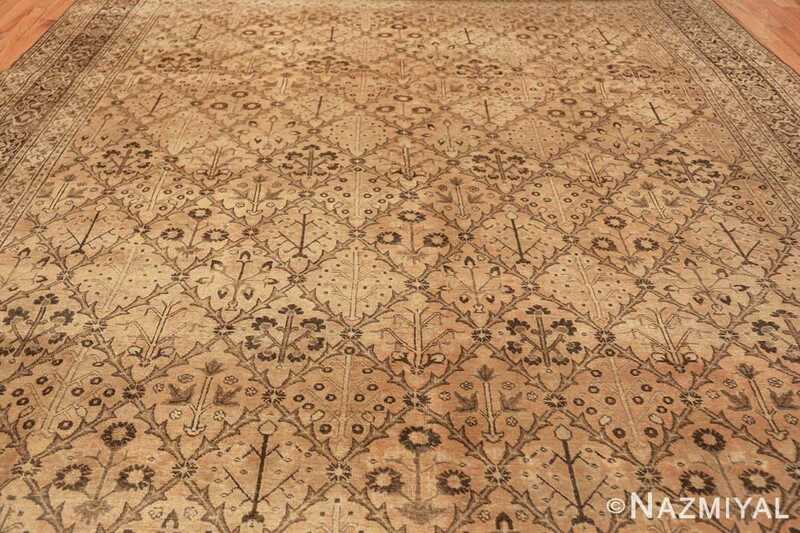 Beautiful and Decorative Garden Design Antique Persian Tabriz Rug, Country of Origin: Persia, Circa Date: 1920’s – Immaculately detailed, dark brown stitching forms a quilted pattern over the wheaten body of this antique Persian rug. 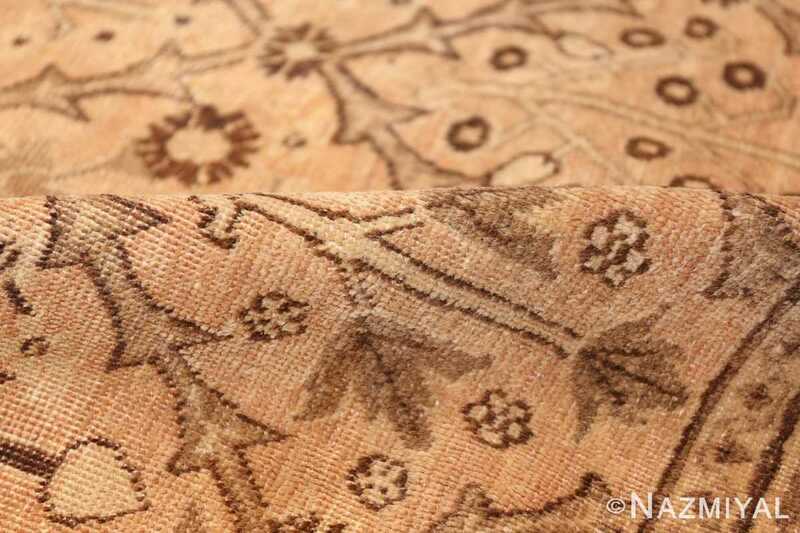 The autumnal tone of this antique Persian Tabriz rug, like ancient papyrus, sets off the dark brown earthy design, revealing a floral theme held within each row of tessellated diamonds. 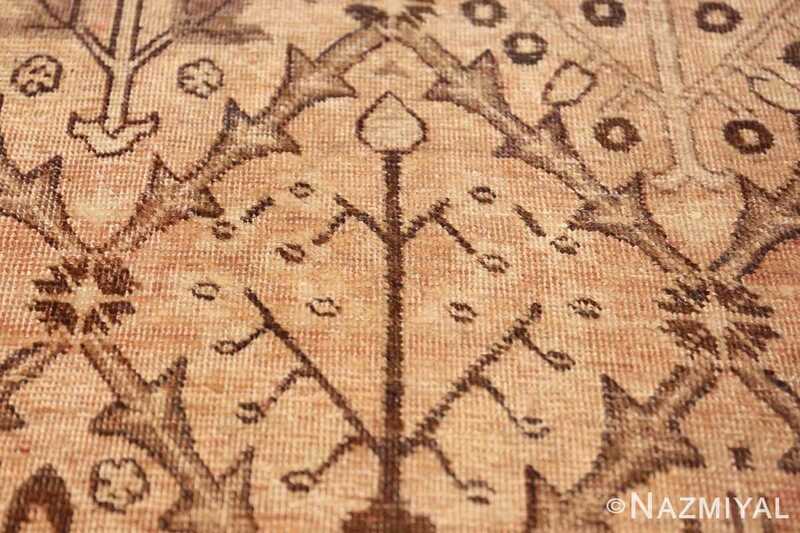 Jagged borders like dandelion leaves separate each shape, with a tiny circular flower at each junction. Trios of daisies, light-toned bushes, stalks of wheat and bouquets of blossoms fill the latticework that imitates a quilt’s appearance. 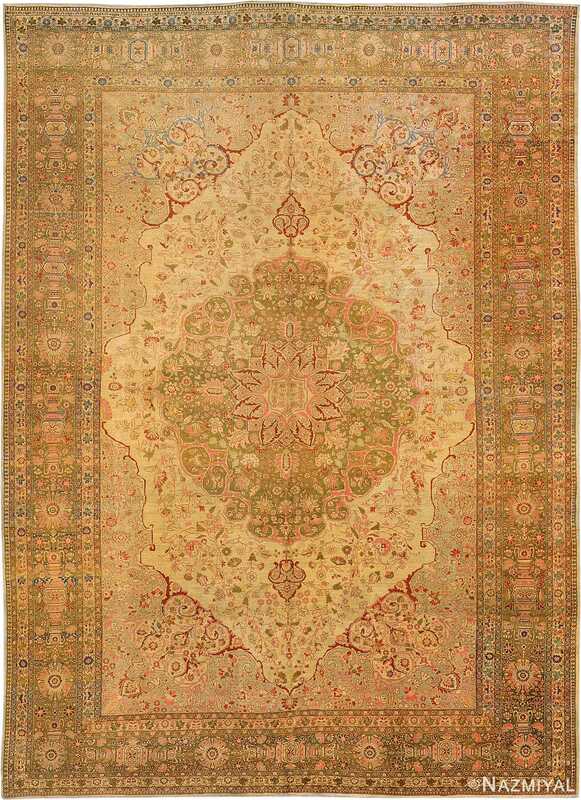 A set of elaborate borders encloses the central field, detailed as elaborately as the interior. 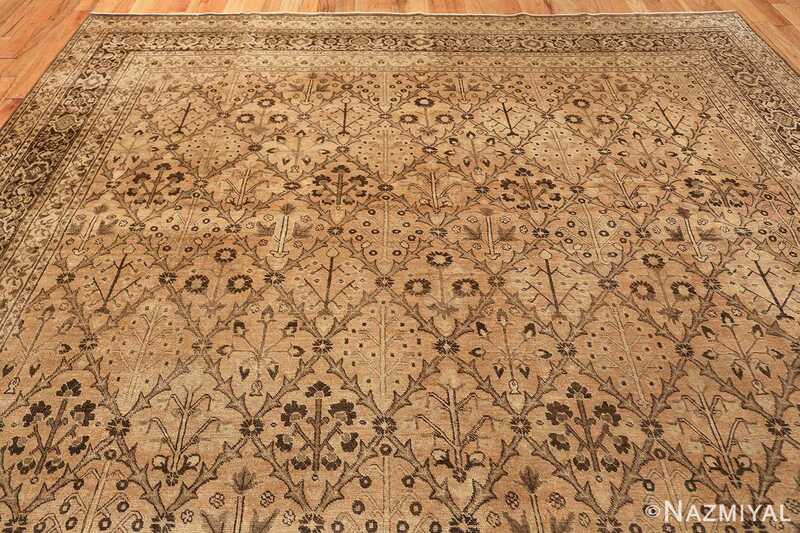 Small bars filled with minuscule, flowered vines rest alongside wider bands with more ornate foliage in this beautiful antique rug. 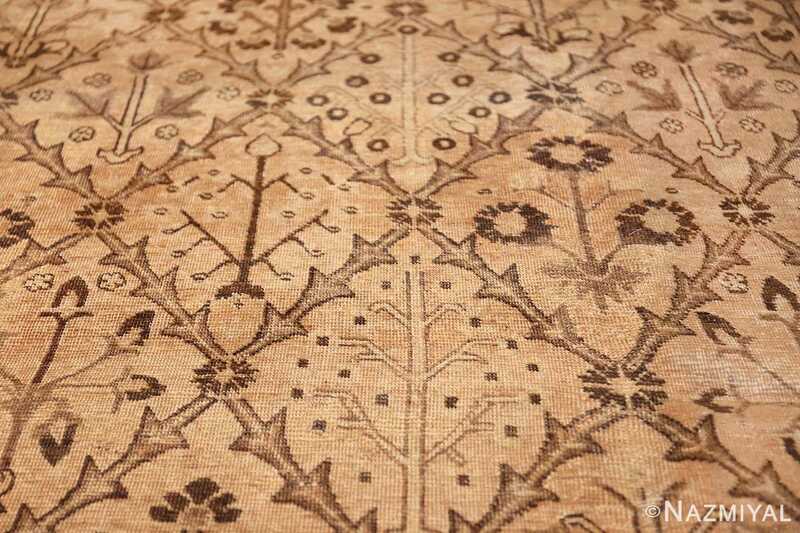 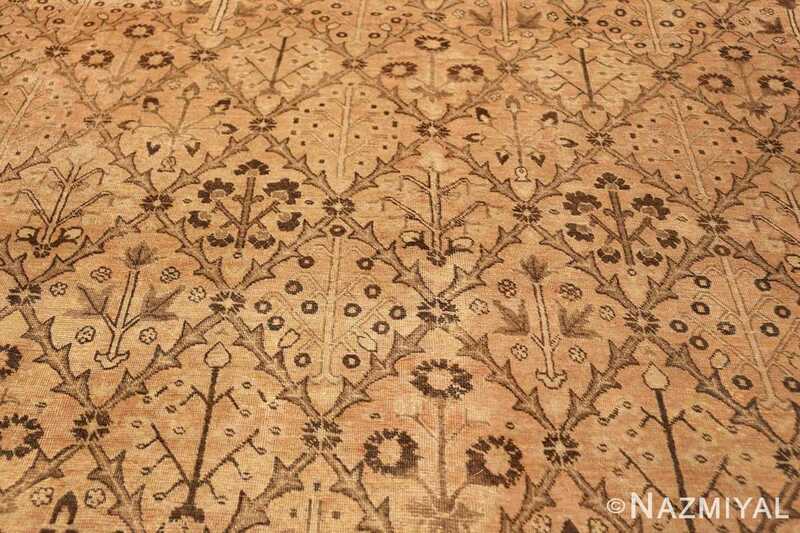 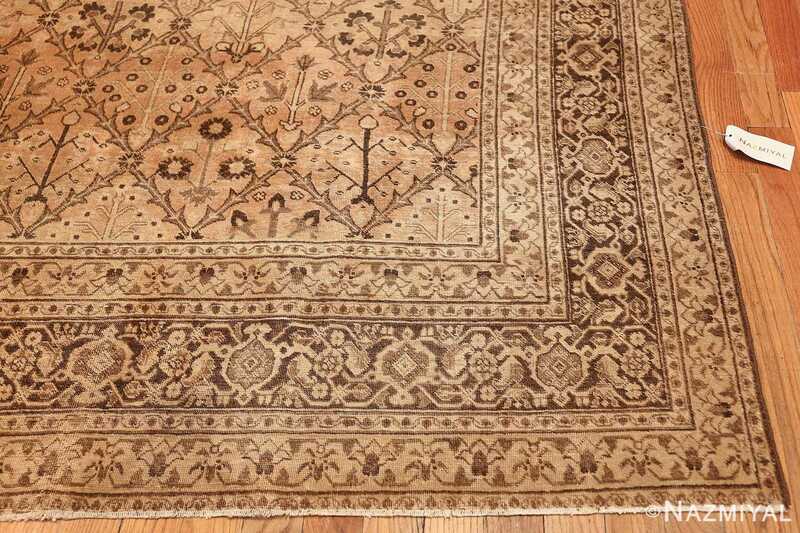 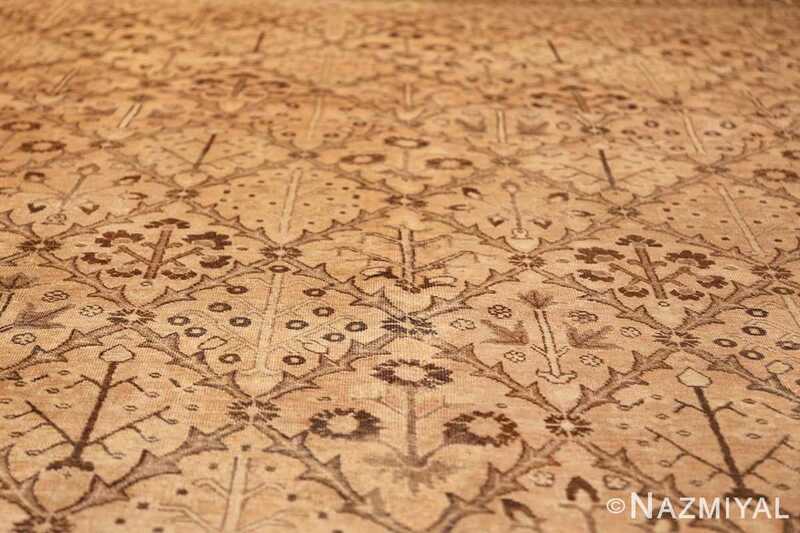 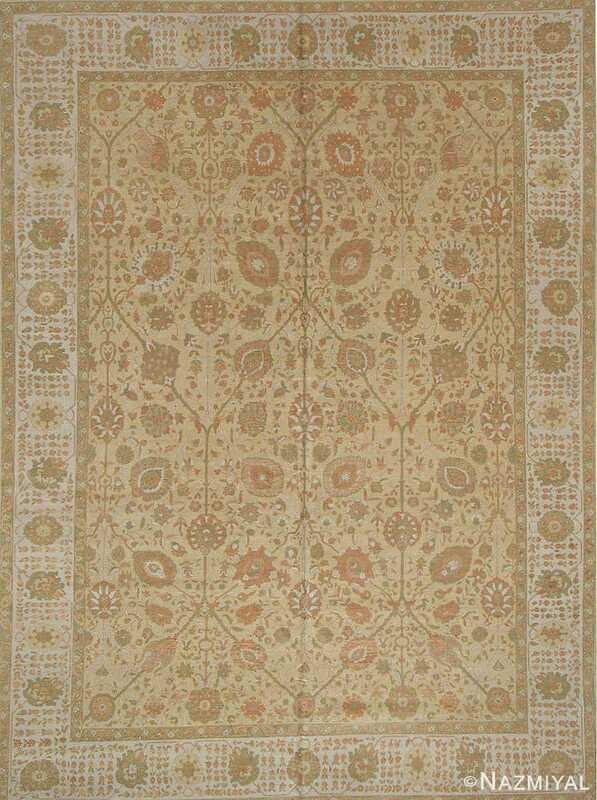 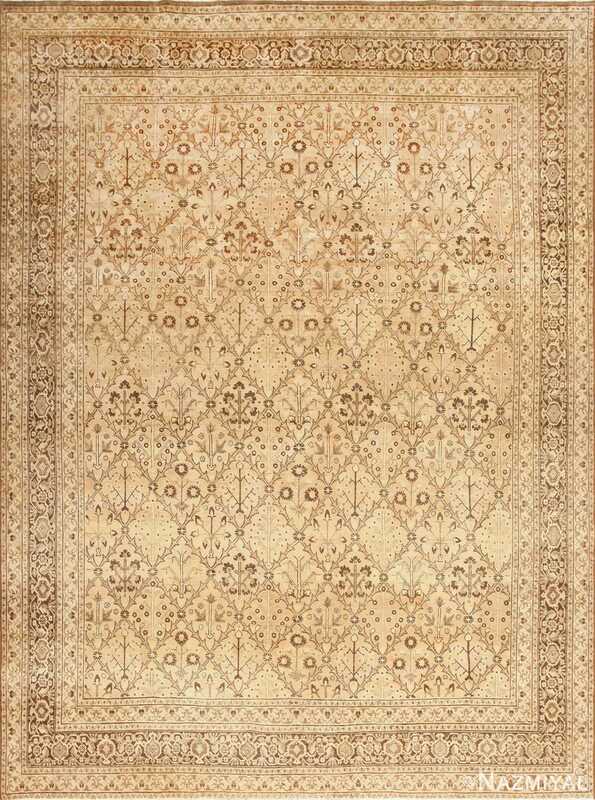 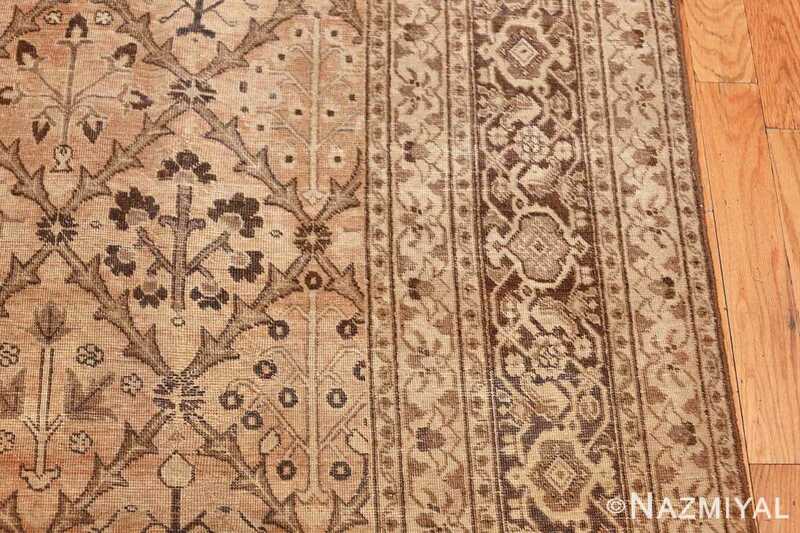 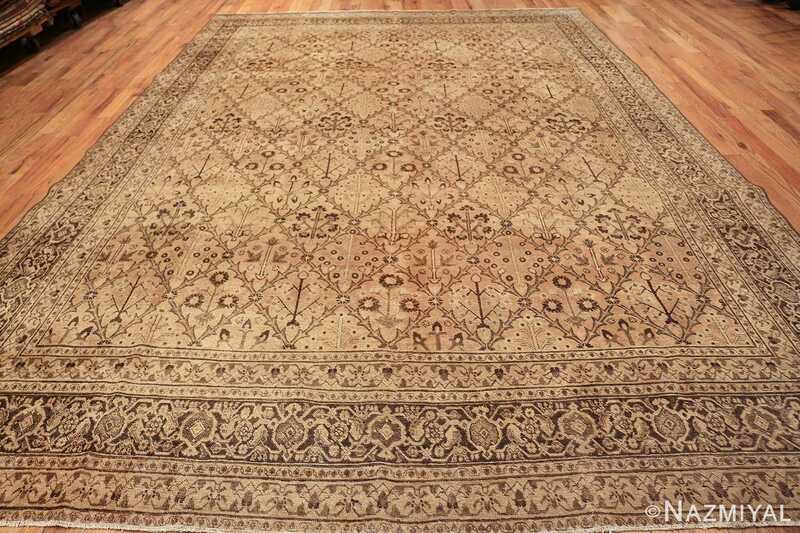 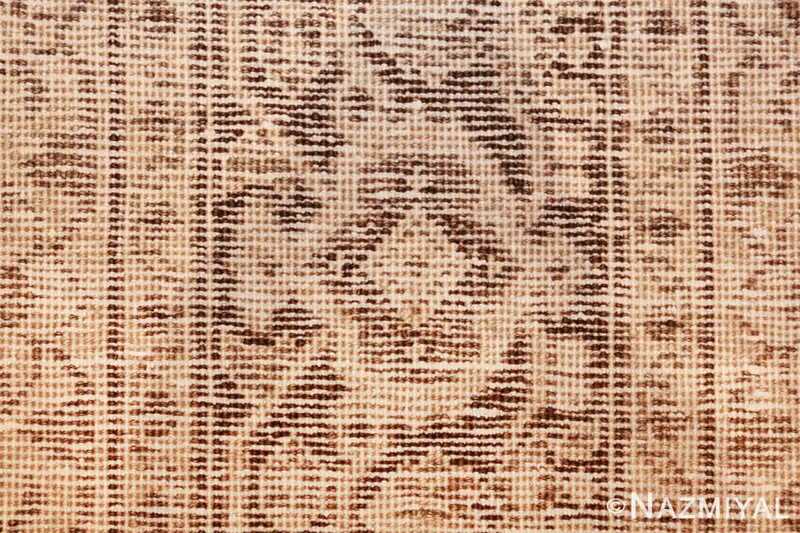 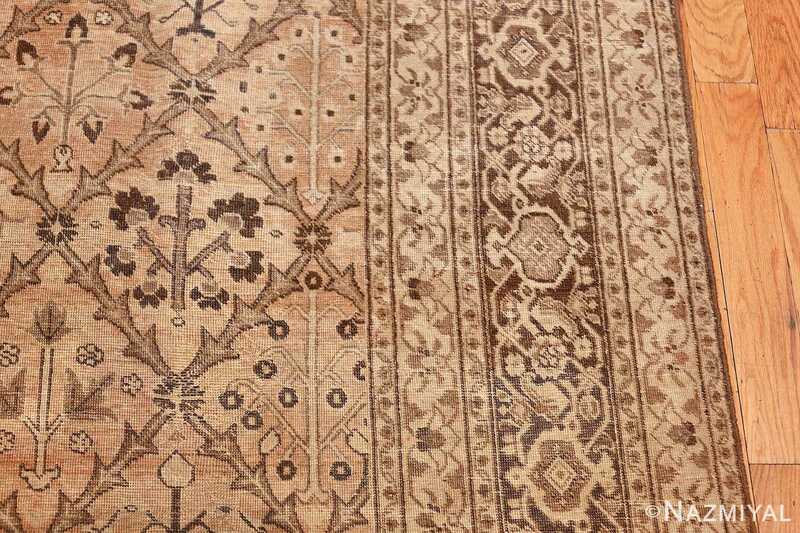 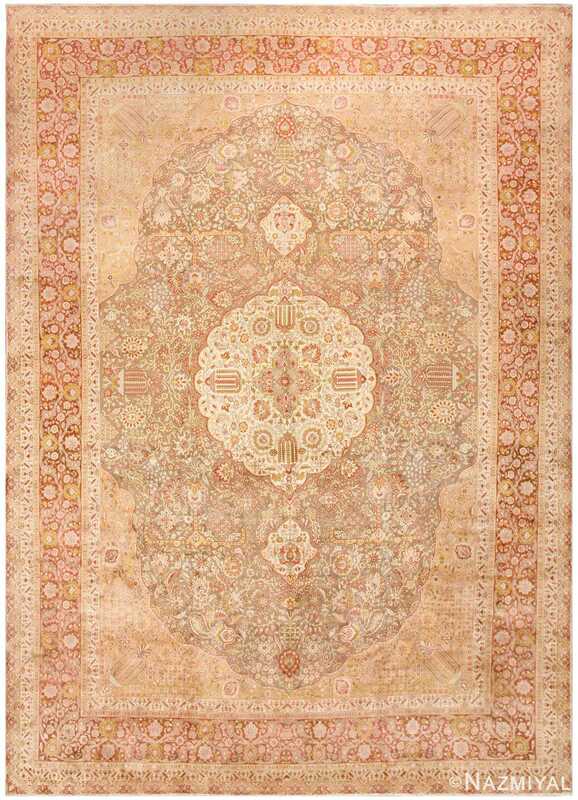 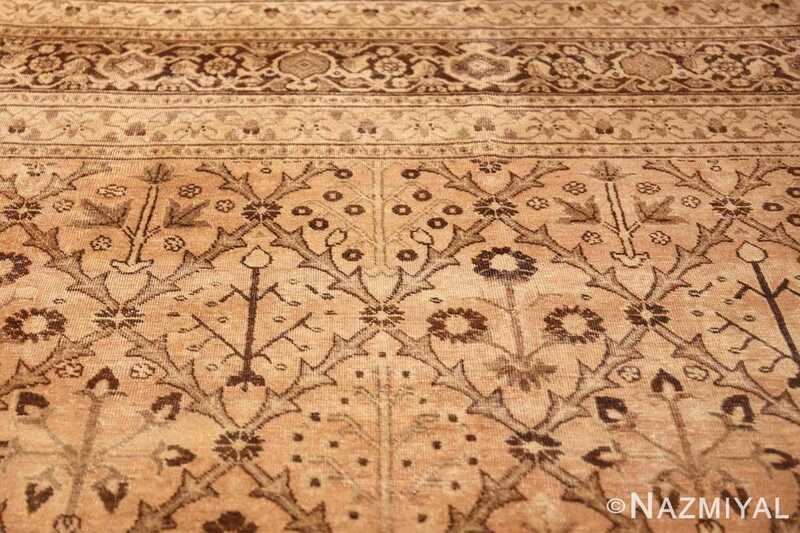 This elegant area rug woven in Turkey features a traditional Tabriz-style latticework pattern woven in a delicate palette of earth-toned colors.